Integrating safety planning into business processes helps ensure its continuity, say Mirka Ltd's Tea Tukia-Kangas and Jari Lemberg. Turning around company culture does not happen overnight. 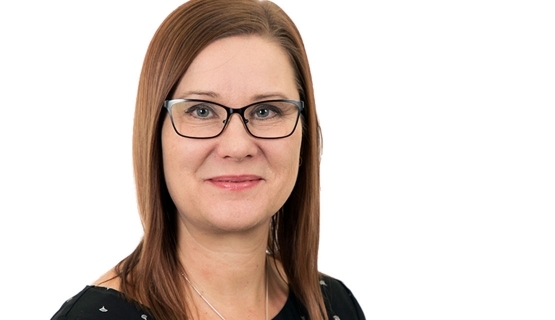 Strong growth and international expansion encouraged Mirka Oy to boost its safety culture transformation with the Aalto PRO Diploma in Safety and Security Management program. Mirka, a Finnish family business and member of the KWH Group, specializes in abrasive products and systems. Its headquarters and technology and R&D center are located in Jeppo, Ostrobothnia, and other production units in Karis, Oravais, and Jakobstad in Finland, Opglabbeek in Belgium, and Fino Mornasco (Cafro S.p.A.) in Italy. The company employs 1,280 people. Mirka has subsidiaries in Europe, the Middle East, North and South America, and Asia. More than 97 percent of its production is exported. "We are growing rapidly and going through organizational transformation. That's why we need a forward-looking vision," says Tea Tukia-Kangas, who manages the production unit in Karis. Tukia-Kangas participated in the program together with his colleague, Technical Manager Jari Lemberg. Their course project focused on Mirka's safety culture with the objective of creating a safety vision that extends to year 2020. Before the program, Mirka lacked an integrated approach to safety thinking and a common understanding of what is involved. The most advanced areas were occupational safety and building design, says Lemberg. Some guidelines also existed for environmental safety and information security. We wanted to find an approach that would benefit the entire organization as widely as possible." Another objective besides the safety vision was to share what was learned with the entire organization through workshops arranged during the program. Tukia-Kangas and Lemberg engaged Mirka's personnel in safety planning on a broad front. Workshop participants included process owners and other responsible persons who were of vital importance for the plan's viability. The goal was to integrate the safety policy into the company's all business processes and make it the responsibility of each individual member of the organization. "We wanted to find an approach that would benefit the entire organization as widely as possible. In the workshops, we shared what we had learned and brought up things that should be taken into account when developing Mirka's operations," says Tukia-Kangas. The workshops were a success and it was easy to get people to participate. "People were eager to get involved, even the management," Lemberg says. The workshops focused on evaluating Mirka's current safety situation and proposing improvements. Afterwards, the ideas were combined and used to prepare a vision for the topic in question, and a strategy for realizing it. These were sent for a wider audience for comments. Finally, the visions were gathered together, prioritized, and scheduled for the next few years. A safety-related databank in intranet was created to help keep the plans updated." A responsible person was named for each topic and entrusted with the task of coordinating it in the future. Business process owners now also own the safety plans, which helps ensure the continuity of the company's safety planning. "It wasn't always obvious who would be the coordinator for a given topic, but we didn't give the management a choice. The coordinators simply had to be named," Tukia-Kangas says. Tukia-Kangas and Lemberg also started a safety-related databank in the company's intranet to help keep the plans updated. Previously the information was scattered across several locations. One key change in Mirka's safety culture, brought on by the program, is increased awareness, says Tukia-Kangas. Now the entire organization understands that safety encompasses more than just occupational safety, such as rescue safety, access control and premises security, information security, and crisis communication. "It all starts with risk management. The aim of integrated safety thinking is to ensure that people working at the production unit feel safe and comfortable," Tukia-Kangas says. Tukia-Kangas and Lemberg believe that in the future, Mirka's approach to safety planning will be more coordinated and goal-oriented. Admittedly, there is still a lot to do. "It takes time, you can't change the world in a flash. The management is now more aware of safety issues, but the same hasn't happened at all levels. Nevertheless, people are already thinking about whether it would create added value to do things a bit differently," Tukia-Kangas says. Mirka's latest GRI report, for example, features safety issues on a broader scale than what was the case before. "It's not directly due to our work, but the company has now understood that it's good to talk about these things," Lemberg says. The safety vision will be reviewed annually in connection with the company's strategy process and updated as and when needed. At the core of the pair's course project is giving birth to a major transformation project and ensuring its continuity. "It's now that the hard work actually starts. Even the management has noticed that we need a more coordinated approach to safety planning," Tukia-Kangas says. 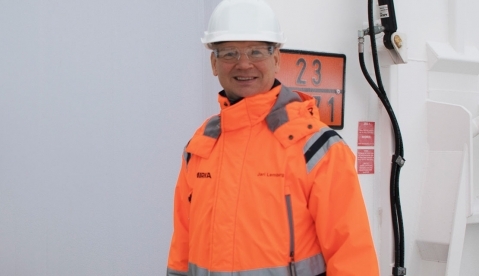 At the start of the year, Mirka appointed a half-time resource to coordinate safety development. "It only covers production safety, but then again, we are just now gearing up for the future. The target state for year 2020 has been defined, and each responsible person has a roadmap for the issues that must be fixed before then," Tukia-Kangas concludes. Security ensures trust and competitivenessThe present state of security can be summed up by two words: unpredictable instability.